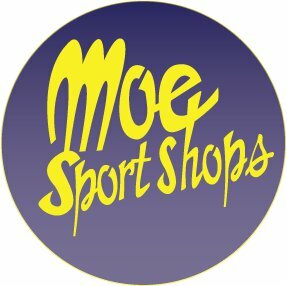 Way back when, in August of this year, we announced our second annual MBN Pick'em League sponsored by our good friends over at Moe Sport Shops/UGP in Ann Arbor. We had a great turnout for the regular season league, and we're so happy in the way the season went down. 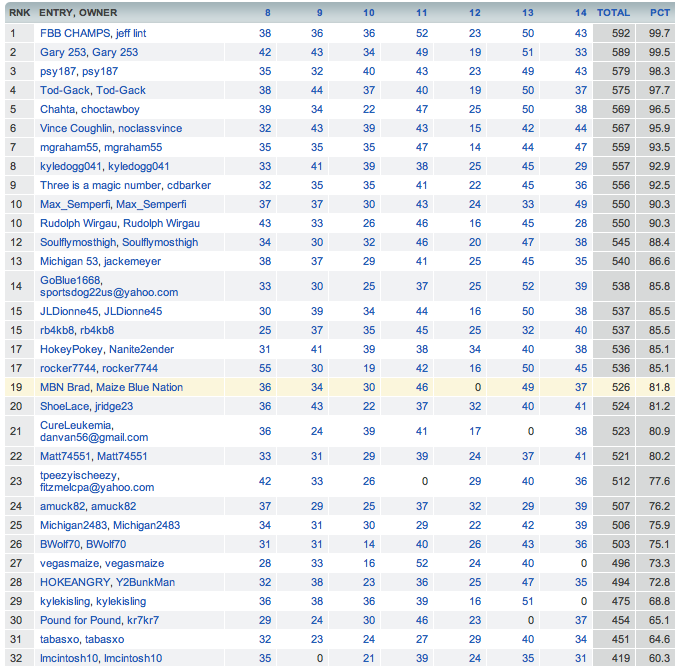 I am very proud to present the top 3 winners for the 2011 season: jefflint, Gary 253 and psy187 (ESPN usernames of course). The top finisher took home a $75 gift card to Moe's, 2nd place took home a $25 gift card, and the 3rd place finisher got a t-shirt. It should be noted, that it came down to the final week when our eventual winner overtook the second place finisher for the first time to bring home the win. It should also be noted that the 2nd place finisher was none other than my dad – proving that great college football prognostication runs in the family! It was tough to watch him lose on the last week, but as the coordinator of this event, I was afraid if he had won, too many people would cry "foul". Whew! Not to be outdone, my father-in-law finished 4th overall and was able to get a free t-shirt out of the deal because our 3rd place winner was MIA after the contest. You snooze you lose, I guess. 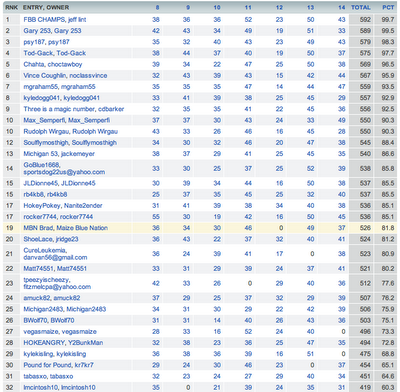 Here's the final standings of those who completed the entire season. You'll notice my big fat zero for week 12. That was a strategic move on my part to ensure I would not win. Yeah...yeah, that's what that is. Congratulations to our winners and a huge thanks to all those who played! Thanks also to Moe Sport Shops for sponsoring this event! Stay tuned for MBN Bowl Mania which will be announced very soon!